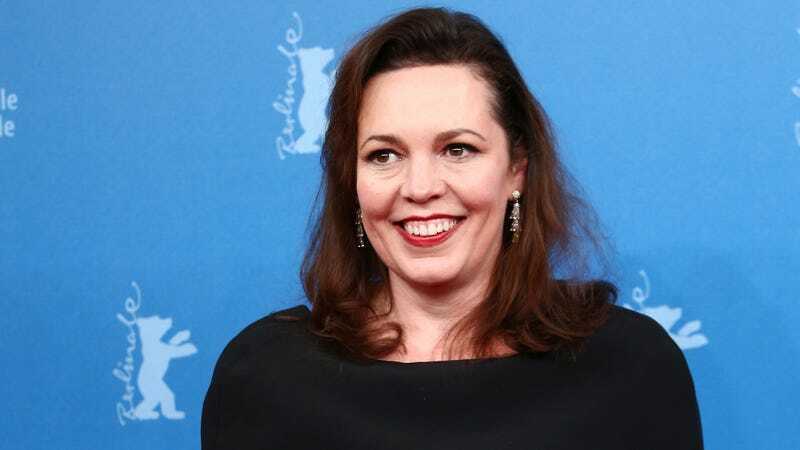 As reported by Entertainment Weekly, Olivia Colman is set to replace Clair Foy as Queen Elizabeth in seasons three and four Netflix’s The Crown. Major monarchy shakeups are pretty rare in real life—and typically involve a revolution—but EW points out that it’s been Netflix’s plan from the beginning to recast the lead roles after the show’s second season. Plus, each season of the show is based around a decade or so of Queen Elizabeth’s life, and since Foy ages at the normal rate of most humans, it would make sense for someone else to step in as time moves on. Colman is probably best known for her role on Broadchurch, and she’s also appeared in The Night Manager, Hot Fuzz, and the upcoming remake of Murder On The Orient Express. There’s no word on how might replace Matt Smith as Prince Philip, but it would be a nice gag if they brought in Peter Capaldi. After all, he has some experience playing a guy that Matt Smith used to play. Season two of The Crown—the last one with Foy—will premiere on Netflix on December 8.